NEW ALBANY, Ind. (Jan. 13, 2015) – Indiana University Southeast student-athletes had another stellar semester academically during the Fall 2014 term. A record 11 student-athletes earned 4.0 grade-point averages in the fall. The department’s overall GPA was a record 3.1, besting the Fall 2013 GPA of 3.0. 62 student-athletes, more than 57 percent of all student-athletes, earned recognition on the “Athletic Director’s Honor Roll” by achieving a 3.0 GPA or higher. Four out of seven Grenadier teams had GPAs of 3.0 or higher. 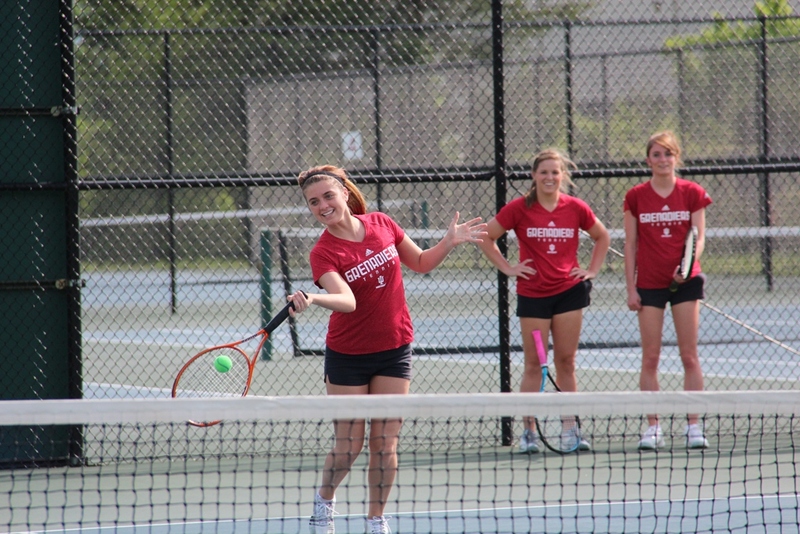 The IU Southeast women’s tennis team’s 3.453 GPA was the highest team GPA this semester, narrowly beating the softball team’s 3.451 mark.